Photo by Bob Thomas, taken in Henri Pettier National Park, Venezuela, June 1991. The genus Utricularia is composed of insectivorous species, mostly aquatic. This specimen is of a terrestrial species and was growing along a road cut in the humid cloud forest area. It had a white flower. 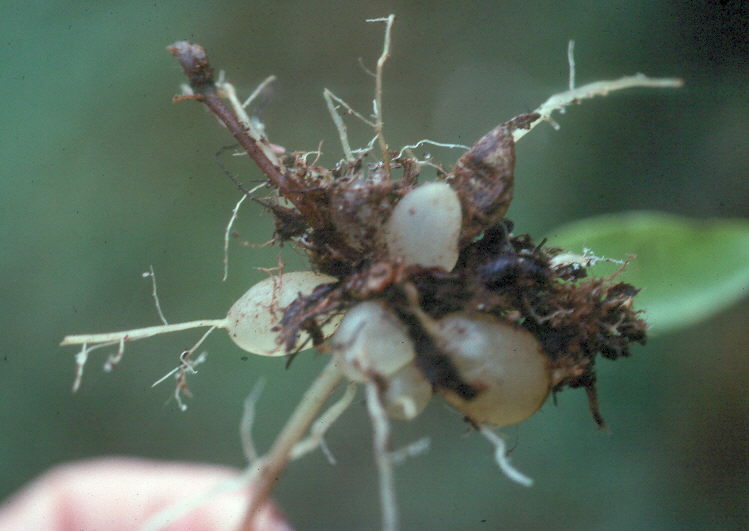 The “bulbs” that are shown were part of the root system. They are the bladders that capture invertebrates. Anyone know what species this is and more info on terrestrial Utricularia?